Stay up-to-date with your community and sign up to our newsletter! 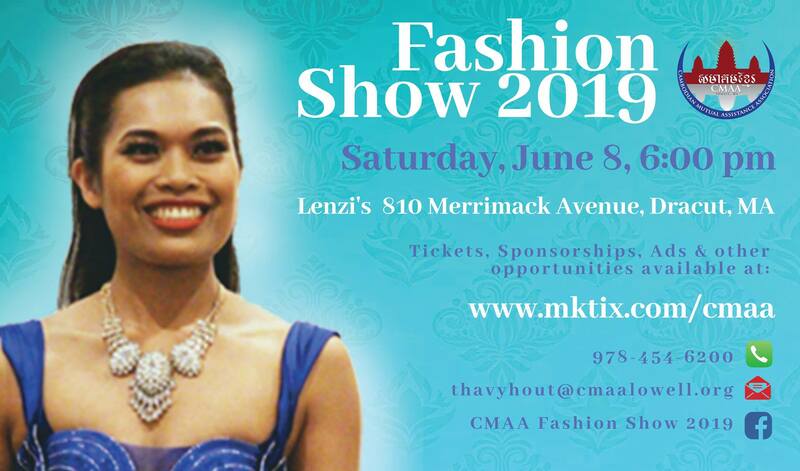 Join Cambodian Mutual Assistance Association of Greater Lowell at our 4th Fashion Show taking place on Saturday, June 8th, 2019 at Lenzi’s. A charming night for all to get together and celebrate the beauty of different cultures that make Lowell a welcoming city. We will be raising funds to benefit a variety of programs at CMAA that provide positive opportunities for economically disadvantaged and underserved community members.